These words come from an editorial by Eugene Robinson in the Washington Post in September of 2018. This link leads to postings -- and poems -- in this blog related to CLIMATE. And here is a link to several previous EARTH DAY postings..
A fine source for lots more climate information is the Center for Mathematics and the Environment at the University of Exeter. Another is 350.org -- which offers 350 poems of 3.5 lines each at this link; these poems came as part of a call for climate action for October 24, 2009. Alas, it is ten years later and we have not answered the call. A NYC event on April 23 -- learn more here! Millay goes on to speak of flat and wide, of spheres and Infinity . . .. a story related to the poems is available here and the entire poem is found here at PoetryFoundation.org. If I had a million lives to live . . . In October of 2018, I was reminded of the significant achievements of poet and playwright, Ntozake Shange (1948-2018) as I read her obituary in the Washington Post. Shange wrote with daring and with vivid imagery -- and often used numbers very effectively, as in this poem, "With No Immediate Cause." I present its opening lines; the complete poem may be found here at poemhunter.com. Going through a pile of saved clippings, I came across an article in the April 2014 issue of Math Horizons that involved humorous restating of mathematical theorems -- one of them, shown below, restated the Fundamental Theorem of Arithmetic in limerick form. Enjoy! Unique up to order. Hooray! Entitled "Bovino-Weierstrass and Other Fractured Theorems," this article by Matt Koetz, Heather A. Lewis, and Mark McKinzie is found online here. When I was a mathematics professor at Pennsylvania's Bloomsburg University, one of the colleagues whom I much admired and enjoyed is Reza Noubary. This mathematician-statistician also writes poetry -- and I have been lucky to have him share it with me. Here, below, are four of his small poems, "Math Kingdom." her mind gave her a poem . . .
Perlman's complete poem is available here. Another of the poetry suggestions made by Science Friday is "Planetarium" by Adrienne Rich -- a poem that honors astronomer Caroline Herschel (1750-1848) and posted here in this blog. Celebration is everywhere (including here in The New Yorker ) -- mathematician Karen Uhlenbeck has recently won the Abel prize for her revolutionary work: " . . . pioneering achievements in geometric partial differential equations, gauge theory and integrable systems, and for the fundamental impact of her work on analysis, geometry, and mathematical physics." Tomorrow evening, March 28, 7 PM at Poets House in NYC, Emily Grosholz, poet and philosopher of mathematics, will discuss her new book, Great Circles: The Transits of Mathematics and Poetry, (Springer, 2018). Her book thoughtfully links the way poets use mathematical entities and mathematicians use poetic “figures of thought.” To illustrate, here are the opening stanzas of Grozholz's poem "Holding Pattern" -- a villanelle that she offers in her consideration (Chapter 7) of periodicity and symmetry. We can't remember half of what we know. They hug each other and then turn away. One thinks in silence, never let me go. That melts beneath the laws it must obey. For the complete poem, go to Chapter 7 pages 115-116 of Great Circles or to Grosholz's collection, The Stars of Earth (Word Galaxy, 2017). From a Greek Nobelist . . . Poet Odysseus Elytis (1911-1996) won the Nobel Prize for Literature in 1979. At some time I purchased a copy of The Collected Poems of Odysseus Elytis (translated by Jeffrey Carson and Nicos Sarris, Johns Hopkins University Press, 1998) and recently, during a reorganization of my bookshelves, have picked it up again. His poetry is not easy for me to read but I have been drawn to explore the collection, Marie Nephele, which Carson's introduction tells us was more than fifteen years in the writing. It is "arranged in three sections of twice seven poems with an introductory and closing poem and two intermediary songs ... ." Half of the poems are in the voice of a youthful Maria and half in the voice of the poet, "the Antiphonist." SUPERSTITION BROUGHT TO A MATHEMATICAL CLARITY WOULD HELP US PERCEIVE THE DEEPER STRUCTURE OF THE WORLD. Thank you to Math Horizons (edited by Dave Richeson) for recent publication of "Give HER Your Support" -- a collection of syllable-square stanzas (one of which is given above) that focus on math-women. Online access to the article is available here -- and this link leads to a PDF of the article that I have downloaded and made available from my website. How to Triumph Like a Girl -- Learn to Swagger!!! A recent article in the Washington Post cited the discrimination faced by women in economics. In response, I can't resist offering Ada Limon's poem, "How to Triumph Like a Girl" -- its mathematical connections include a defiant spirit and two numbers. Let us begin to win! after winning. Ears up, girls, ears up! . . .
Read the rest here to Poets.org. For your browsing pleasure,here are titles and links to previous blog postings. Below are listed linked-titles of posts from 2018 and up-to now in 2019 and here is a link to a list of titles and links for posts prior to 2018. March 6 Celebrate Math-Women with Poems! University of Connecticut mathematician-poet Sarah Glaz has interviewed me on behalf of the Journal of Mathematics and the Arts. The article Sarah wrote is now available online -- but the online version requires a costly subscription. I offer instead this link to a pdf file of her "Artist Interview: JoAnne Growney." 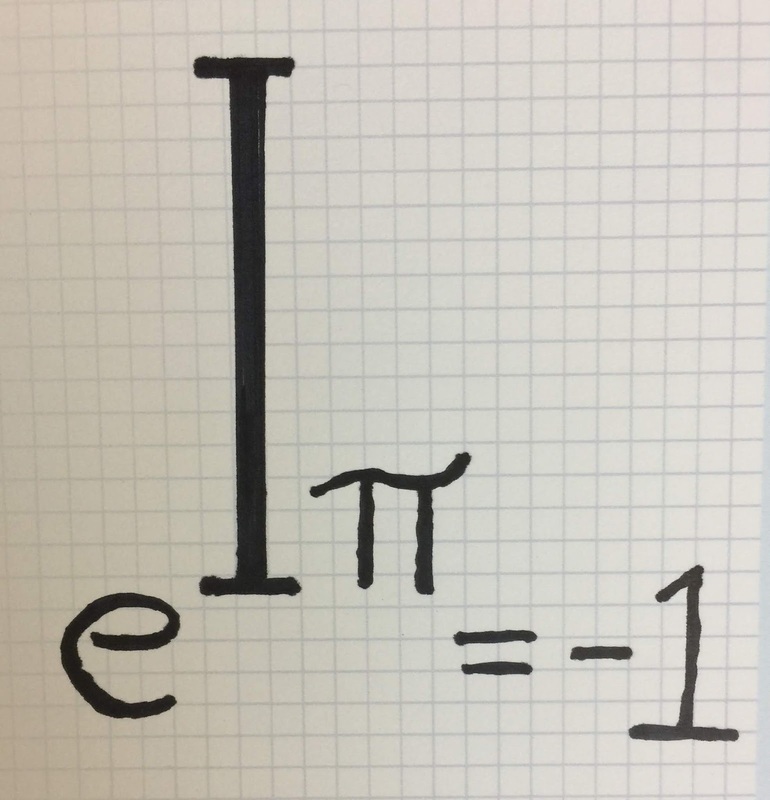 The article gives some of my personal and mathematical history -- growing up on a farm, studying mathematics because of a scholarship, loving both poetry and math and eventually finding time to follow both interests and see their connections. And it includes some poems. I invite you to follow this link and browse a bit! If you are in the Washington, DC area you are cordially invited to a poetry-math program at The Writer's Center on Thursday evening, March 14, at 7 PM-- come and enjoy exploring connections between POETRY and PI. 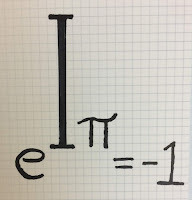 This link leads to earlier posts in this blog that celebrate PI.
. . . And, when you can find time . . .
Say a text, a smart statement, in Pilish! and here in this blog we celebrate math-women with poems! a poem of mine about Emmy Noether. Counting syllables is an aspect of poetry that often interests math-people. -- and when Haiku are composed in English, these three-line poems mostly obey the 5-7-5 syllable counts. Here is a sample from Melbourne mathematician Daniel Mathews. Lots more of Mathews' Haiku are found here. During the years of this blog, lots of different entries have celebrated the mathy Haiku -- this link leads to the results of a blog-SEARCH using "Haiku." The Journal of Humanistic Mathematics, with new issues coming twice a year, late in January and July, is a wonderful resource. Their latest issue (July 2018) was themed "Mathematics and Motherhood" and is an example of their wonderful support for expanding our images of mathematicians to recognize the vital contributions of women. From that issue, here are opening stanzas of a poem by Nevada scientist and mathematician Marylesa Howard -- lines that offer a mathematical description of the constant adjustments of parenthood. Several decades ago, when I was a math professor and parent of young children, I needed to keep details of parenting away from my profession -- a divided life. I'm glad things are different now. Mathematician-Poet Sarah Glaz has been active in bringing poetry events to the annual summer Math-Arts conference Bridges -- and she has given me permission to include this poem which appears in the Bridges 2018 Poetry Anthology and in her wonderful recent collection Ode to Numbers (Antrim House, 2017). from a distant galaxy of thought. Celebrate a Science Woman -- and offer friendship! would take mathematics instead of Latin?"